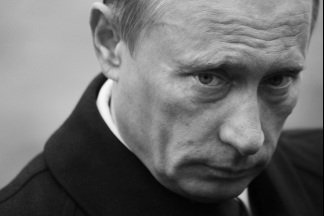 »Christianity»Is Russia Becoming the “Protector of the Faith”? Is Russia Becoming the “Protector of the Faith”? I find it interesting that our Cold War opponent is getting closer to defending the faith while the United States is seeking to distance itself from it. I came across this post by Bryana Johnson at The High Tide and the Turn, where she contends that the former Soviet Union, having lived through their period of anti-God, is now coming to realize that Christianity can actually help their culture and society to not only survive but to thrive. At the same time, the United States is revolting from any resemblance of a Christian moral ethic. I urge you to read her post, below . . . The evangelical Christian community that still identifies Russia with communism, Cold War tensions and the chilling brutality of Stalinism, is in for a big, painful shock this week. The world has changed, and not only is the USA no longer the cheery western beacon of homely virtues, but one of her traditional enemies is standing in to defend the sacredness of the ideals she no longer cherishes. Continue reading this article at the original site . . .